Recently, while surfing around on LinkedIn and exploring articles that seemed to be of interest to job-seekers, I came across a cool InfoGraphic called “What You Wish You’d Known Before Your Job Interview.” It’s filled with various statistics and lists that may be helpful to anyone going out on job interviews. The original source of this InfoGraphic was apparently a website called “Classes and Careers” aimed at students who are picking colleges and/or courses. The website’s stated purpose is to match students with schools and programs. I tried to poke around and investigate how they came up with these statistics and numbers … but alas, I could not even find this InfoGraphic anywhere on their website, much less any information on how they arrived at these statistics. The actual InfoGraphic was simply re-published on multiple unrelated sites while the original research information supporting it somehow got lost in the viral re-shuffling on the web. Nevertheless, my gut feeling in studying this InfoGraphic is that it has the ring of truth to it. I can’t swear that the numbers are accurate … but based on my own experience as a recruiter who has coached thousands of candidates through interviews and then debriefed countless interviewers, the overall content shown seems pretty right on. ► A third of the interviewers surveyed made up their minds about whether or not to hire someone within the first 90 seconds of the interview starting. ► Over half of the first impressions were created NOT by what was said, but rather how the person dressed, walked through the door and acted. 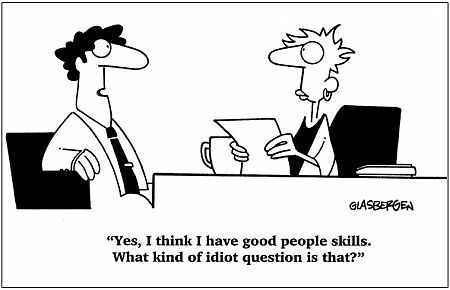 ► Almost half of the failed interviews were caused by candidates not knowing enough about the company they were meeting with. ► Over two thirds of the failed interviews were caused by candidates not making eye contact. ► The number one reason for not hiring someone was that they didn’t ask for the job! Now there’s nothing new or earth-shattering about any of this. I’ve actually written about most of this stuff elsewhere in other articles here on Recruiter Musings. [Check the Index for more specific interviewing advice, tips and tricks.] Still, seeing it all in this graphical format is very entertaining and enlightening. 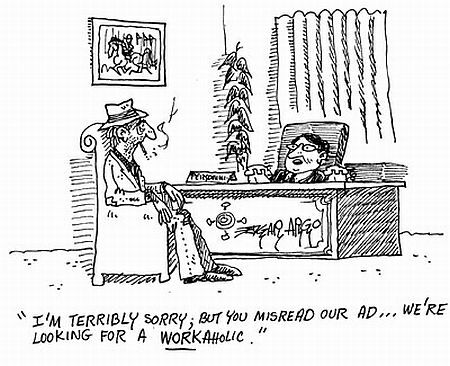 (Oh and yes, the retro sixties-style caricature of the job-seeker is kind of goofy, but I like it anyway! It kind of reminds me of the TV show Mad Men.) I would even say, it’s worth blowing this up, printing it out, and pinning it to a wall near your work desk as a refresher before each interview you have coming up. Anyone who has ever been interviewed for a job of any kind has most likely heard some variation of this line: “So, do you have any questions?” It’s the standard way that most interviewers wrap things up, and signal that the interview is coming to a close. It’s a query posed near the end of practically every type of interview: Phone Interviews, Face-to-Face Interviews, Skype Interviews, etc. It sounds like a rather innocent question, and could easily be dismissed by a job-seeker as a mere formality — not worthy of a thoughtful response. Well, don’t make that mistake! The truth is, how that question is answered can often make or break someone’s chances of landing a job. Candidates are judged by the quality of the questions they ask during an interview. Candidates who have no questions at all might be perceived as having no interest in the position. Even worse than that, inappropriate or off-track questions can be viewed as a huge red flag by any interviewer. Asking the wrong questions can easily sink an otherwise successful interview. There are literally thousands of possible variations of typical questions that could be used as interview closers. I certainly don’t intend to list them all here. And obviously, the specifics of each interview (the nature of the position, the type of company, the level of the person conducting the interview, etc.) will often determine what questions make the most sense to ask. Rather, I hope to list some general do’s and don’ts, and suggest some specific examples of successful questions that are likely to score points and head the conversation in the right direction. ► Don’t ask about anything sensitive or negative that you might have read or heard about the company — e.g. recent layoffs, poor financial performance, bad press reports, lawsuits, complaints or any other negative issues you are aware of. Most interviewers would rather keep the discussion focused on the positive aspects of their company, and will be very uncomfortable if those types of issues are brought up by a candidate. ► Don’t ask generic, standard questions that sound as though you found them on a website (like this blog!) and are reciting them from a script. Most savvy interviewers will be able to spot those types of canned questions a mile away, and easily distinguish them from more thoughtful, insightful questions that pertain specifically to their company or the exact position you are interviewing for. 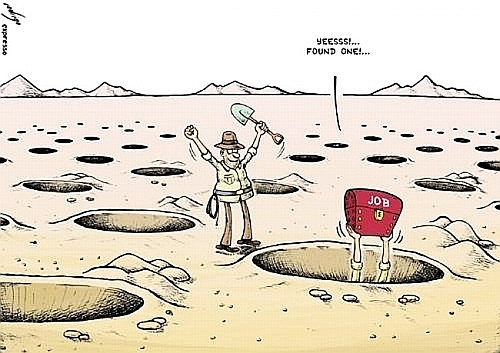 ► Don’t ask point blank if you are going to get the job. That tends to put the interviewer on the spot, and makes people feel very uncomfortable. ► Ask open-ended questions, as opposed to yes-no questions. “Can you tell me more about …” “What is your opinion of …” The idea is to get the interviewer to talk more — to reveal more information about the company, about the position, about themself and about their expectations. Ideally, you can then use that information to say things that will demonstrate that you truly fit whatever it is they seem to be looking for. ► Take something you learned beforehand about the company, and probe further. Show that you’ve done your homework about the company. Ask specific questions about those things that you learned. Start out with something like “During my research, I read that … I was wondering …” Demonstrating that you’ve read up on the company, and that you are curious and interested can be very impressive! ► Take something discussed during the interview, and probe further. Expand on topics already covered, and ask for more details. This shows that you’ve been paying attention, and that you are curious, interested and eager to learn more. ► Ask about the company’s culture and work environment. Those are issues that tend to be rather abstract, and less likely to be explained on their website. Therefore, they are good topics to ask the interviewer about. ► Ask about what qualities they look for in a successful employee. How can someone succeed and grow within the company? What are the specific goals and expectations for the position you are interviewing for? What do they hope to accomplish — both short and long term — with this hire? In the end, if you are interested in this job, make sure to say so! Your final question should really nail the closer: “I just want to let you know that I am very interested in this opportunity, and hope we can move forward. What are the next steps in the interview process?” Don’t leave without determining what the expectations are for the next steps, and how and when YOU should follow-up. Ask what their timetable is for hiring, and how their hiring process works. Also make sure you get a business card with the email address and phone number of your interviewer, and send them a thank-you email that same day. If you met with more than one person, get everyone’s cards and do the same with them. Then immediately make a note on your calendar of when your pro-active follow-up call will be if you don’t hear back from them first. If you really want this job, don’t just sit back wait for them to make the next move. You have to go after it! Beating the Résumé-Elimination Game: Where Do Recruiters’ Eyes Go? A while back, I wrote about how job-seekers get screened out or eliminated based on someone looking at their résumés. [Read: “The Brutal Truth About How Résumés Get Eliminated.”] In my many years as a recruiter, I’ve certainly read my share of résumés. There were times when I went through over a hundred a day. I certainly know how the elimination game works! This process is even more brutal now in the current candidate-flooded market caused by the economic downturn of the last few years. It’s been said that the average résumé-reader will give your résumé less than 15 seconds of eyeball time on the first pass. If they don’t quickly see exactly what they think they want or need right up front … bye bye – delete key for you! 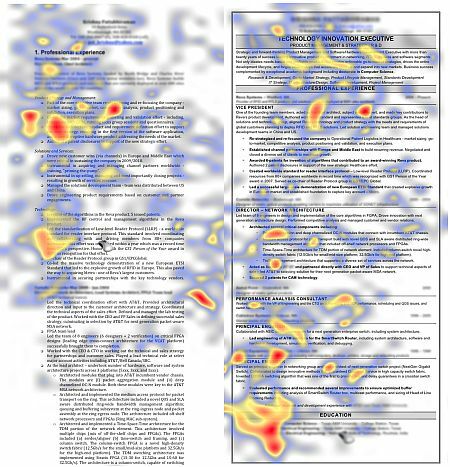 How long did recruiters actually look at résumés? When surveyed, the recruiters told the researchers they spent 4 to 5 minutes on each résumé … but when actually observed, the average time spent on each résumé was a mere 6 seconds for the initial “fit / no fit” decision!!! So much for that masterpiece you slaved over for so many hours writing, re-writing and perfecting. Pretty depressing, eh?! What parts caught their attention, and where did their eyes linger? Sadly, beyond those six things the recruiters did little more than scan for keywords that matched the jobs they were trying to fill. They characterized the rest of the descriptive details in the résumés (the parts you probably spent the most time perfecting!) as “filler that had little or no impact on their initial decision-making.” Again, kind of depressing, eh? Why did “professionally-written” résumés seem to be more effective? How can you create your own “professionally-formatted” résumé without paying someone else to do it for you? There are many resume-writing services out there who will be happy to charge you lots of money to re-format and re-write your résumé for you. I’ve never been a big fan of such services. I’ve seen way too many crappy résumés created by such so-called “professionals.” This is one of those rare cases where the old phrase “you get what you pay for” really does not apply at all. The truth is that anyone can create a professional-looking résumé themselves — totally for free. The easiest way to do it is to “borrow” someone’s professional résumé that you like and then copy the format! Just get a good résumé from someone you know — or simply search for professional résumés on Google — and then save them to your computer. Then just replace the text with your own words, retaining the nice-looking formatting of the original! Another fairly obvious source for pre-formatted résumé templates is Microsoft Word, or other desktop writing and publishing programs. Just open the program and search for templates when you choose to create a new document. Microsoft has even more free résumé templates available online. Here’s a link to a generous number of free, great looking professional résumé templates designed for users of Microsoft Word: “Microsoft Résumés and CVs.” Numerous other free examples and templates are out there online, ready for the taking. 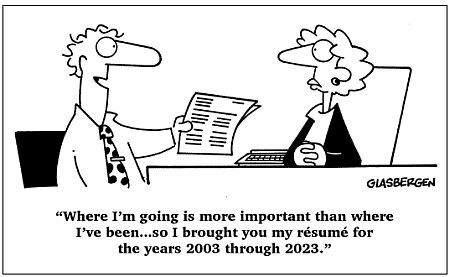 Final thoughts … some résumés actually do get read more carefully! Keep in mind that the focus of this entire study was the initial “yes/no” assessment process … that first quick scan where the elimination often happens. But not every résumé gets eliminated. When a résumé does pass that first test, then the descriptive details that were completely overlooked the first time will actually get read and considered. So in the end, the experiences and achievements you write about on your masterpiece do really matter a great deal. The trick, of course, is to beat the résumé-elimination game and get to that next step! In the past, I’ve written several blog articles with advice, tips and tricks on how to succeed at interviews. I’ve covered Phone Interviews [“Phone Interviews: Secrets, Tricks and Tips”], Face-to-Face Interviews [“Face-to-Face Interviews: Secrets, Tricks and Tips.”] and even Skype interviews [“Skype Interview Tips: Welcome to the Future!”]. Over the years I’ve prepared and coached many hundreds of candidates for each of those types of interviews, stressing positive approaches and techniques. And yet … I’m still constantly amazed at how often people defy basic common sense, and totally blow their chances of landing a job by doing (or failing to do) and saying (or failing to say) things that I thought were pretty basic. So, at the risk of re-stating things that may seem obvious to most intelligent job-seekers, what follows is a list of 20 things that are pretty much guaranteed to blow any interview. I’ve personally observed each and every one of the following things happen with job-seekers I’ve worked with at one time or another. Take this list and some the comments that follow each item with a huge grain of salt, and hopefully laugh a little and also learn from it! If you recognize anything on this list from personal experiences … well, now at least you’ll know why you are reading this blog instead of working at your job! 1. Arrive late (or too early). Don’t call ahead if you are not on time. Keeping an interviewer waiting, and failing to call if you have an unexpected delay is probably the number one no-no any interviewee can commit. And showing up more than 10 minutes early just shows desperation. 2. Dress casually. Wear lots of cologne or perfume, and tons of jewelry. Facial piercings are especially impressive. I’ve never heard of anyone being passed over for a job because they dressed too nicely for an interview. On the other hand, I’ve personally run out of interview rooms gasping for air after meeting people who smell like they just visited the free sample spritzer counter at a local Macy’s. 3. Shake hands weakly — like a limp fish. Bad first impressions are hard to shake (please excuse the expression) … and a bad handshake is guaranteed to create a bad first impression! The worst is the “fish” handshake – a completely limp hand. That’s just creepy! Almost as bad is gripping someone around their fingers instead of fully locking hands at the base of the thumb. 4. Appear disinterested — act like a zombie, and do not smile or make eye contact. This is one of the most often-stated issues that decision-makers site as a reason for not hiring someone: they simply didn’t seem enthusiastic or even interested in the job. 5. Don’t research the company you are interviewing for — just wing it! Not knowing everything you can possibly learn about a company before you walk in the door is just plain stupid. 6. Badmouth your past bosses and companies. 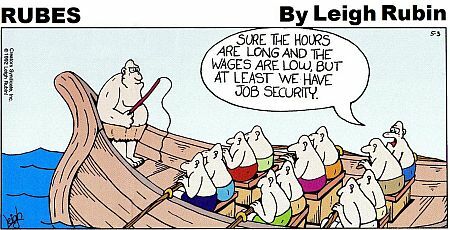 Blame your job misfortunes on others. Wear that chip on your shoulder proudly. Complain about everything. This is another one of the most often-stated things that decision-makers site as a reason for not hiring someone. It’s just like your mother said: “If you can’t find something nice to say about someone, don’t say anything at all!” If you bad-mouth another company or person, the interviewer will wonder what you’ll be saying about them or their company after you leave. 7. Be arrogant, overconfident and rude — especially to the receptionist! Failing to respect and befriend the receptionist is huge. Those gatekeepers often pass their impressions on to the hiring manager … and can easily veto any job-seeker’s efforts. 8. Lie and exaggerate about your qualifications, your education, your experiences, and your prior salary. It worked for the CEO of Yahoo, didn’t it? Those things will inevitably be caught in a background check, but hey … at least you’ll pass the audition, right?! 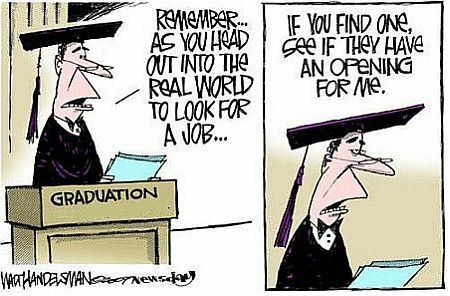 Saying or doing whatever it takes to get to the next level works so well for political candidates, so why not for other types of job-seekers also?! 9. Leave your phone on, and answer any calls, emails and text messages you receive — any one might be another job offer. In fact, wear a Bluetooth earpiece during the interview! I’ve actually seen this happen! 10. Chew gum, bring a drink and snacks with you. Smoke a cigarette just before the interview to make sure you smell like tobacco. Believe it or not, chewing gum is another one of those things that comes up at the top of most surveys for reasons given by decision-makers on why they don’t hire people! 11. Fail to answer questions directly, and go off on irrelevant tangents. Politicians get away this this all the time … so why not try it! 12. Talk a lot, and don’t listen. Interrupt frequently. This is a classic symptom of nervousness. Job-seekers sometimes feel that they must aggressively “sell themselves” to the person they are meeting with, and forget that good listening skills are critical for interviews. People who dominate every conversation are generally not good listeners, and invariably turn people off. 13. 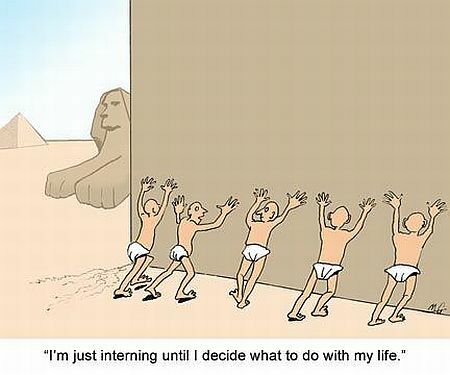 Describe your past jobs’ responsibilities instead of your achievements. This also applies to résumé writing and it’s one of my own personal pet peeves (along with receiving “functional” résumés instead of chronological résumés.) The least effective résumés are filled with job descriptions and fail to list any accomplishments. Same for interviews. Don’t tell me what you were responsible for. Tell me what you accomplished! Why should I hire you over the next guy??? 14. Offer too much personal information. Politics, religion, sexual orientation … all great topics for a first date — but not a job interview! 15. Bring up the salary issue early in the conversation. This is what you REALLY want to know, right? What does this job pay?! You know you want to ask it immediately, right?! You don’t want to waste your time interviewing with multiple people only to find out at the end of the process that they can’t even come close to what you need to pay your bills, right?! 16. Refuse to answer salary questions when specifically asked. 17. Don’t ask good business-related questions. Instead, say that you don’t have any questions since they’ve all been answered during the interview. Better yet, inquire about things like vacation time, benefits, and other perks. Again, those are the things you REALLY want to know about, right?! 18. Fail to connect with your interviewer on a personal level. 19. Don’t ask for the job. You’re too good for that! They should just recognize your value in the job market, and beg you to come to work for them, right?! You’ve already done your part and sold yourself during the interview. Now it’s their turn! Besides, playing hard-to-get is much more fun. If they really want you, let them pursue you! If they don’t, then they’re not worth working for, right? Skype Interview Tips … Welcome to the Future! One of my favorite cartoon TV shows from childhood was The Jetsons. For those of us who grew up with George Jetson and his world (or caught it later in syndication on cable) it was an ultra-cool vision of an imagined future told from a 1960’s point of view. Like many other science fiction shows of that time — most notably Star Trek — many of the fictional technologies and toys that they used have actually become real and commonplace to us here in the early 21st century. 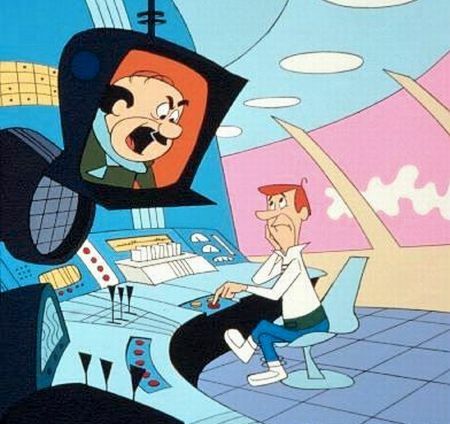 Who can forget George video-chatting with his wife Jane, or being yelled at by his boss, Mr. Spacely, on a video screen — the standard way everyone communicated in the Jetsons’ world. 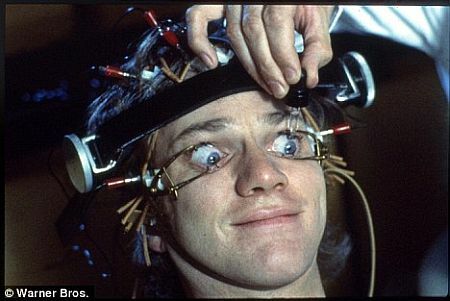 Video conferencing was a concept that seemed so far-fetched and futuristic at that time. Well … welcome to the future! With the wide acceptance of Skype (now owned by Microsoft), as well as Apple’s “Facetime,” and numerous other free video conferencing applications (Facebook Chat, Google Chat, Yahoo Chat, AIM, etc.) the idea of seeing the image of a person’s face as you are talking with them has become very much an everyday occurrence. Many companies have jumped onto the Video Conferencing bandwagon as a way to reduce their expenses. Meetings with multiple participants in far-flung locations are often conducted online now, using business versions of web-based video conferencing programs. Companies are able to save huge amounts of money by greatly reducing travel costs for their employees … not to mention regaining lost productivity associated with travel time. Companies have also begun interviewing remote job applicants using Skype. 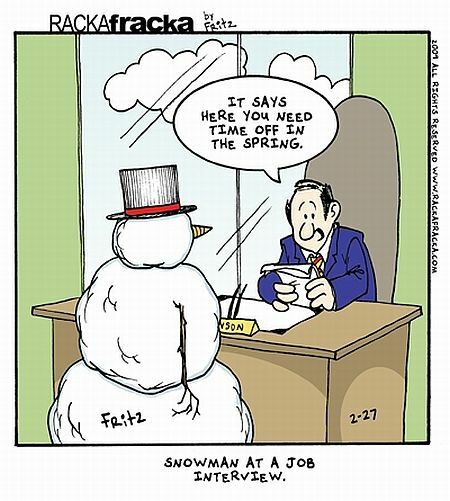 As a recruiter, I often interview potential candidates who are not local to my area. It wasn’t that long ago that such interviews were always conducted by phone. It was rare that I got to actually meet face-to-face with candidates who lived in other cities. That has all changed over the last couple of years. Now, Skype interviews are a regular part of my recruiting tool-box. While seeing someone on Skype is certainly not as effective as a true face-to-face meeting — there is no question that it is WAY better than a mere audio phone conversation. The added dimension of seeing a person’s facial expressions, body language, eye contact, etc. gives a much more in-depth impression of the person you are communicating with. The funny thing is that you might think that “older” candidates (i.e. Baby Boomers) would not be very familiar or comfortable with Skype, since it might be thought of as a young person’s technology. What I have found is that almost every Boomer I’ve talked with already uses Skype on a regular basis to communicate with their kids — either in college, or living away in other cities — or to see their grandchildren! In fact, it’s pretty rare to find any mildly computer-savvy person these days who doesn’t have a webcam, and who doesn’t already have a free Skype account. ► Research the industry, the company and the players. ► Study the job description and prepare stories. ► Plan ahead to be in a quiet place, and to avoid any interruptions. ► Use the “Nuggets” technique to establish rapport. ► Project a Positive Attitude. ► Be a good listener, and never interrupt. ► Don’t bring up salary or benefits … but be prepared to answer the Dreaded Salary Question directly if asked. ► Prepare a list of questions you can ask. ► At the end of the interview, clarify the next steps. Test your video and audio before the call. Open the Skype application and go into the “Tools” menu, and then choose “Options …” to test your video and audio. You’ll see a preview of your own video image, and be able to test your microphone. Make sure your equipment is working properly before your interview. You certainly don’t want to start things out with a technical glitch. When you do start the actual Skype session, make sure your camera is turned on. If the other person can’t see you — and you’ll know because you won’t see your own preview — then click the little “camera” icon on the Skype Toolbar (floating either at the top or the bottom of your screen … you may have to “mouse over” it to make it appear) to activate your webcam. Then during the actual interview, periodically glance at your own preview in the corner of the screen to make sure you are lit and framed correctly, as explained below. Choose a good background, and be aware of your lighting. Position your camera to center your image. Move your camera around (or re-position yourself) to center your face on the screen. I see it all the time — people positioned at the extreme top or bottom of the screen, with the camera cutting half of their face off at their chin, or their forehead! Pay attention to your preview. If you shift or move around during the interview, try to stay centered. Also, move in or out so that you are framed from below the shoulders to just above your head — not too extremely close, or too far back. Most inexpensive webcams are fix-focused at a medium distance, so being too close or too far will make the image look blurry. Treat this like a traditional face-to-face interview. It’s a common mistake to think that because you are at home, you can dress casually for a Skype interview — that it won’t matter. Wrong! The impression you make on your Skype interviewer can be just as powerful as it would be in person. What you are wearing matters, and you will be judged by how you look. That’s kind of the point of Skype, isn’t it? They want to know how you look! Dress appropriately. I’ve actually seen candidates for executive-level positions wearing t-shirts on Skype interviews! Needless to say, that was not a first impression I’m likely to forget. Men: wear a tie and jacket. Women: wear a conservative business suit. I’ve never heard of any candidate for any job getting eliminated because they were too well dressed! Also, avoid wearing loud patterns, like stripes, that can sometimes look distracting on video. Look at the camera (not at the screen) to make eye-contact. This is one of the hardest things to do. It’s everyone’s natural tendency to look at the person’s face on the screen as you are talking. The problem is, the camera is not there — it’s at the top of the screen! When you look at the middle of the screen, the other person feels that you are looking downward. As often as possible, you should look directly at that little camera when you are talking. This is a technique that TV newscasters (and media-savvy politicians) spend years learning and mastering. Instead of following the text on their teleprompters, they are taught to read with their peripheral vision while looking directly into the camera lens. Otherwise they don’t make eye contact with their TV audiences, and are perceived as being untrustworthy or “shifty.” Try practicing this technique on Skype with a friend before you do an important interview. It’s a well known fact that actions and reactions can come across somewhat differently on video than they do in a live situation. It’s a good idea to compensate for that difference by projecting extra enthusiasm, and by trying to keep your answers concise and to the point. Try to speak both clearly and quickly, and do not allow too much silence or “dead air” to occur between questions and answers. At the same time, never interrupt or talk over the other person. Sometimes the audio on Skype can have a slight delay or echo, so make sure you hear the end of the person’s last sentence before you speak. Above all, smile a lot and be aware of your facial expressions at all times. Remember: the red light is on … action!